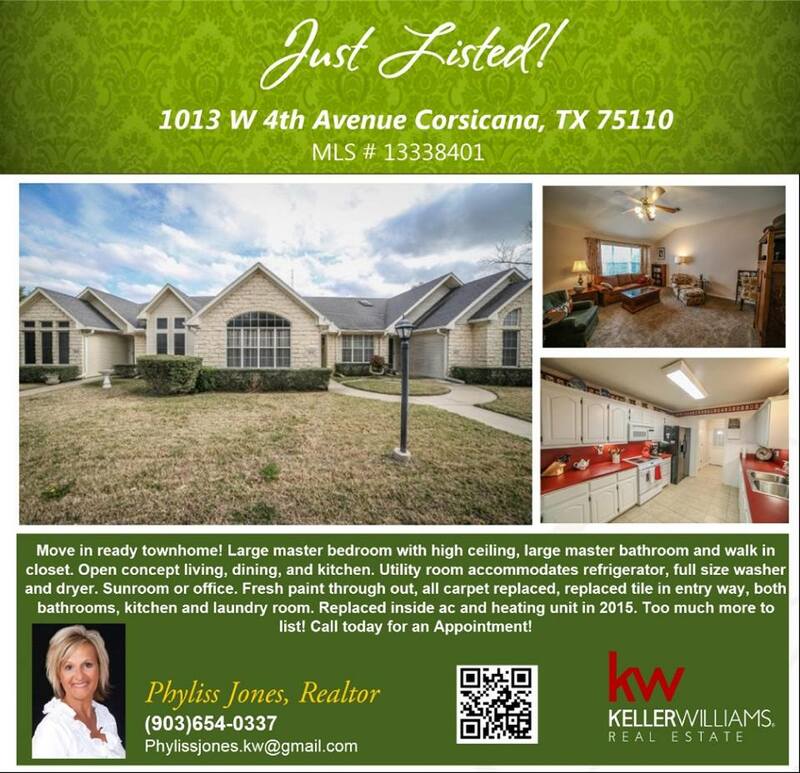 Beautiful New Listing in Corsicana! 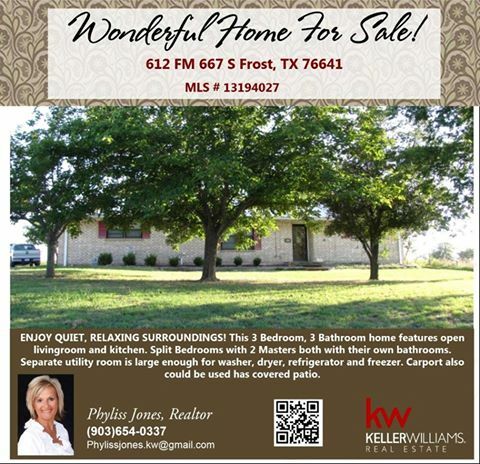 Come and Check out this perfect starter Home in Corsicana! 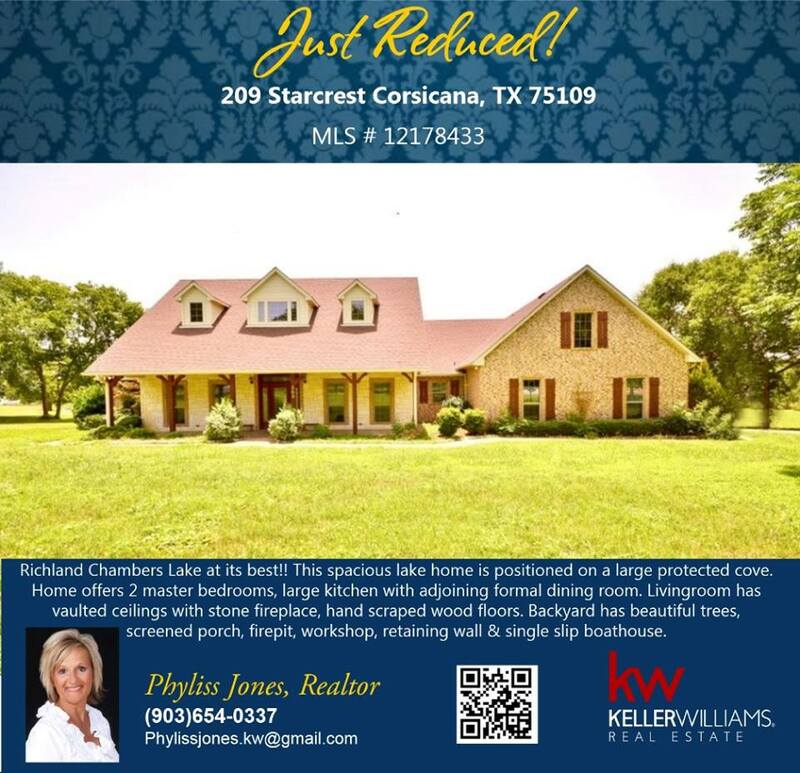 Please call me for more info. Phyliss Jones (903) 654-0337.